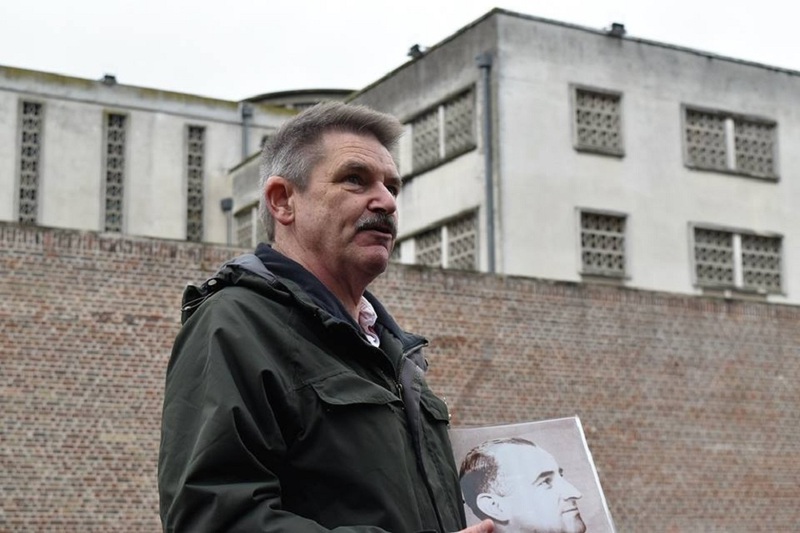 Andy Johnson, pictured here outside Amiens Prison, was commissioned in the RAF in 1981 as a fighter controller and spent ten years serving in air defence radar stations. From 1992, he flew on the AWACS as crewmember, mission crew commander, instructor, and aircrew evaluator. During his flying service, Andy flew extensively in air operations over Bosnia, Kosovo, Afghanistan and Iraq. Andy has a lifetime interest in military aviation and in the campaigns of the British Army, particularly of the Second World War, and has visited battlefields in Sicily, Italy, Normandy and Northwest Europe. With his flying experience, Andy has an insider’s view of the air environment and of the integration of air power into the battlefield. Andy retired from the RAF in 2009 to pursue a second career in battlefield guiding and military and aviation research. He is a volunteer guide at RAF Waddington Heritage Centre and RAF Digby Operations Room Museum, where his fighter control background is of particular use.